Most of us have two email addresses, one for work and one on a service like Gmail . 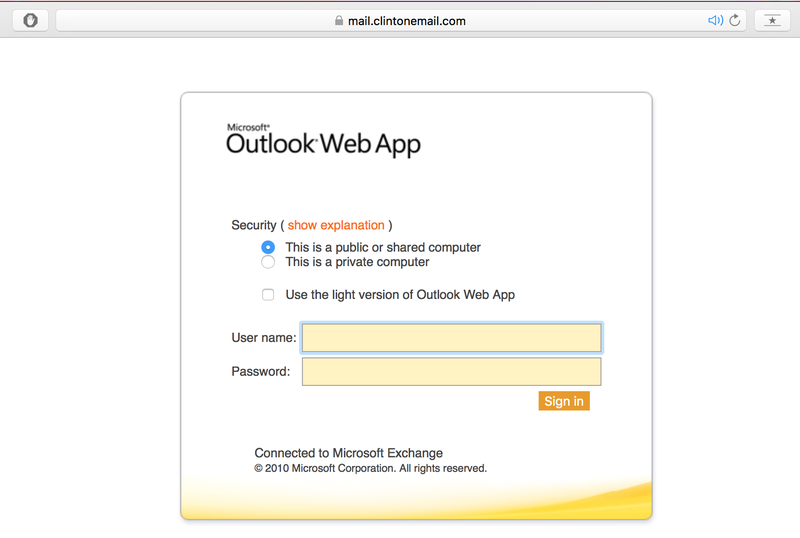 The Clintons have their own email system — Clintonemail.com — and it runs on Microsoft Exchange Server 2010. You can visit the server here. There are a few other domains associated with the Clintons, as well, but she primarily used the Clintonemail.com domain on her Blackberry. I’m sure you’ve thought of this, but it would be a great time for someone inside or outside to make a statement/ write an op-ed that points out that State’s technology is so antiquated that NO ONE uses a State-issued laptop and even high officials routinely end up using their home email accounts to be able to get their work done quickly and effectively. Further cuts to State’s budget just makes matters much much worse. We actually need more funds to significantly upgrade our technology. A solution was proposed wherein Clinton could set up a server to forward secure email from her office, but this was too difficult and Clinton balked. Ultimately she continued to use her BlackBerry after being warned by security personnel that it was unsafe. 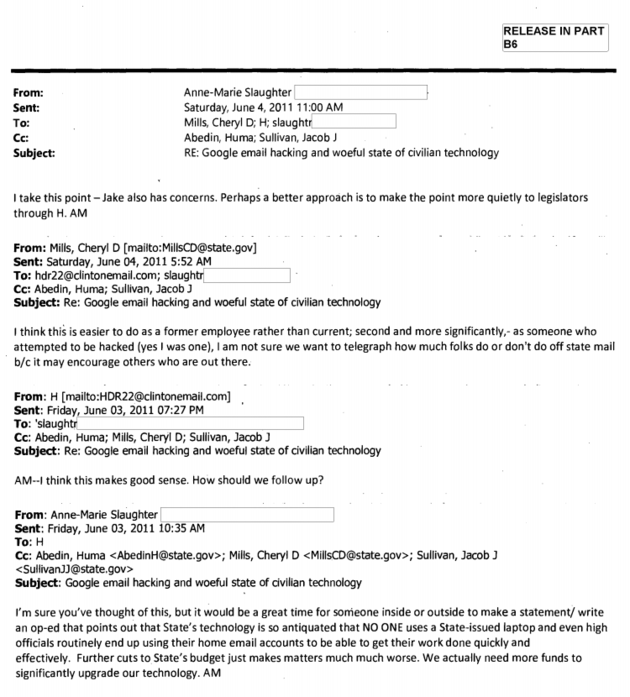 This means she may have sent an email regarding State Department business using her BlackBerry. Coincidentally, the FBI found that the Clinton email server contained eight top-secret email chains and 36 secret email chains. The former governor conducted all his communication on his private Jeb@jeb.org account and turned over the hand-selected batch to the state archives when he left office. Absent from the stash are emails the governor deemed not relevant to the public record: those relating to politics, fundraising and personal matters while he was governor.